Alissa Firsova (Russian: Алисса Фирсова; born 24 July 1986) is a Russian-British classical composer, pianist and conductor. Born in Moscow to the composers Elena Firsova and Dmitri Smirnov, she moved to the UK in 1991. 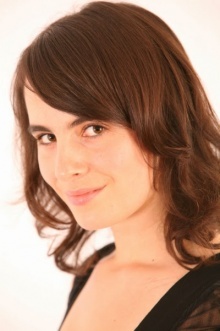 In 2001 she won the BBC/Guardian/Proms Young Composer Competition with her piano piece “Les Pavots”. She graduated from Purcell School as a composer and pianist in 2004, and Royal Academy of Music as a pianist in 2009, where she also developed her conducting studies with Paul Brough. In 2009 she entered the Conducting Postgraduate Course in Royal Academy of Music under the tuition of Colin Metters. Her piano teachers included Tatiana Kantorovich, Valéria Szervánszky, James Gibb, Simon Mulligan, Hamish Milne, Ian Fountain, and Stephen Kovacevich. Among her composition teachers were Jeoffrey Sharkey, Richard Dubugnon, Jonathan Cole and Simon Speare. She also participated in workshops and master classes with composers Nicholas Maw, Simon Holt, Anthony Gilbert, David Bedford, David Matthews, and Mark-Anthony Turnage. She had her Wigmore Hall debut in May 2009, followed by a Royal Albert Hall debut playing Stravinsky’s Les Noces in the Proms festival in August. Her "Bach Allegro", commissioned by BBC Proms, was premiered in Royal Albert Hall in August 2010 by the Royal Philharmonic Orchestra under Andrew Litton. Her solo piano debut CD “Russian Emigres” was released by the Vivat label. Alissa’s music is featured in a Proms Portrait on 27th August 2015, prior to the world premiere of her “Bergen’s Bonfire” by the Bergen Philharmonic Orchestra and Andrew Litton. Op.4 "The Entire City" for String Quintet. Op.5 "I tell you the truth, today you will be with me in heaven" for Wind and String Ensemble. Op.13 “Lune Rouge” for Piano at "YouTube"
Последнее изменение этой страницы: 04:05, 30 января 2019.